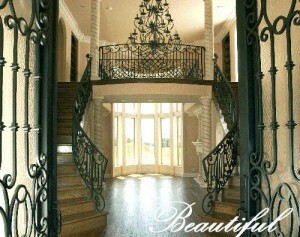 A truly custom home deserves custom stairs, and Trinity Stairs can customize your stair beyond your wildest dreams. If you can imagine it, we can build it. Our gallery highlights examples of many different styles and design elements. View the images below for a style that best expresses your home. But remember – none of these designs are exclusive to a style. Mix and match, pick and choose. It’s your custom stair, you decide. Also see our custom iron section for additional ideas. Whether you need a custom stair for a new home or are renovating your existing stair, we make it simple. We provide on-site measurement, discuss design options with you, provide custom CAD software design proofs, then carry out installation. Select from the options below to view different ideas for your custom stair project.